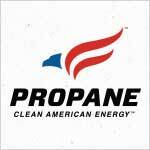 More landscape professionals are discovering propane is the key to cutting expenses while increasing income. To learn how propane could benefit your fleet, visit the website and take advantage of the robust resources created by the Propane Education & Research Council. There, you can see your potential savings with the Propane Mower Calculator, read case studies of real fleets, and more. You can also learn more about the limited-time Propane Mower Incentive Program, which awards contractors $1,000 per qualified new mower purchase, or $500 per qualified mower conversion.